You’ll find a wide range of garlic resources and links below, from gormet garlic growers and seed providers to larger associations and groups dedicated to spreading the word about the magic of garlic. Many of the grower sites listed below also have very informational websites with garlic growing tips and other guides in addition to their own garlic that they have for sale. We’ve only listed smaller growers and information geared for garlic enthusiasts — no big commercial operations or mass market retailers here! If you fit that bill and would like to be added to our growers map or listed here, contact us with your info and we’ll get right on it. 3 Flat Acres: Grows a variety of organic garlic in Wisconsin including Nootka Rose, Asian Tempest, Siberian, and Inchelium Red. 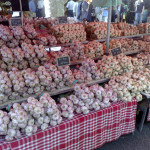 A&L Garlic Farms: Grows a variety of garlic in New York including Music, Chesnok Red, Korean Red Hot, and Turkish Red. Abbott Organics: Grows a variety of organic garlic in California. Anselmos Farms: Grows a variety of organic garlic in Washington State including Spanish Roja, Killarney Red, Carpathian, and Bailey Roc. Ashley Creek Farms: Grows a variety of organic garlic in Washington State including Brown Rose, California Early, Red Rezan, and Red Toch. Bobba-Mike’s Garlic Farm: Grows a variety of organically-grown garlic in Ohio including Music, Georgian Fire, Romanian Red, Chesnok Red, and German White. BJ Gourmet Garlic Farm: Grows a variety of organically-grown garlic in Ohio including Metechi, Bogatyr, German White, and Italian Red. Blue Moon Garlic: Grows a variety of garlic in Kentucky including Music, Siberian, California Early, and Lorz Italian. Boundary Garlic Farm: Grows a variety of organic garlic in B.C., Canada including Leningrad, Chesnok Red, Puslinch, and Sicilian Gold. Cedar Circle Farm: Grows a variety of organic garlic in Vermont. Charlie’s Gourmet Garlic Farm: Grows a variety of organically-grown garlic in Ohio including German White, Music, Siberian, and Susanville. Copper Kettle Farm: Grows a variety of naturally-grown garlic in Wisconsin including Chesnok Red, Georgian Crystal, and German Extra Hardy. Dancing Bear Farm: Grows a variety of organically-grown garlic in Massachusetts. Dyer Family Organic Farm: Grows a variety of organic garlic in Michigan including Applegate, Kettle River Giant, Thermadrone, and Persian Star. Eastview Farm: Grows a variety of organic garlic in Vermont including Music, German White, Russian Red, and Siberian. El Bosque Garlic Farm: Grows a variety of garlic in New Mexico. Enon Valley Garlic: Grows a variety of organically-grown garlic in Pennsylvania including Italian Purple, Korean Red, Leningrad, and Purple Glazer. Fairman Farm: Grows a variety of garlic in Pennsylvania. Filaree Garlic Farm: Grows a variety of organic garlic in Washington State. Flying Pigs Produce: Grows a variety of organically-grown garlic in Ohio including Music. Forever Garlic Farm: Grows a variety of garlic in Maine. Freeman Farms: Grows a variety of organic garlic in Washington State including Gypsy Red, Russian Red, Pskem, and Siberian. Froggy Meadows Farm: Grows a variety of garlic in Wisconsin. Garlic by Ireland Farm: Grows a variety of organically-grown garlic in New York including Bavarian Purple, Foxy, Pitarelli, Red Rezan, and Polish White. Garlic Hill Farm: Grows a variety of garlic in New Hampshire. Garlic of Eden: Grows a variety of organic garlic in Virginia. Garlic Stone Farm: Grows a variety of garlic in Ohio. Great Northern Garlic: Grows a variety of organically-grown garlic in Washington State. Green Mountain Garlic: Grows a variety of organic garlic in Vermont including Spanish Red, Silver White, Music, and Romanian Red. Green Organics Farm: Grows a variety of garlic in Michigan. Grey Duck Garlic: Grows a variety of organic garlic in Washington State. Griefs Gourmet Garlic: Grows a variety of organically-grown garlic in Oregon. 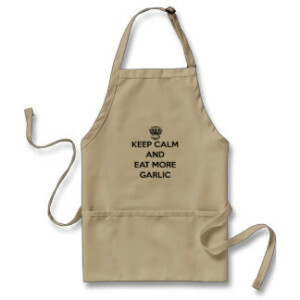 Gourmet Garlic Gardens: Grows a variety of organically-grown garlic in Texas. Headstrong Garlic: Grows a variety of garlic in Maine including Phillips, Martins Heirloom, Penasco Blue, Floha, Xian, and Rose de Lautrec. Heartsong Farm: Grows a variety of organic garlic in New Hampshire including Georgian Crystal, Metechi, Georgian Fire, and Siberian. Hobbs Family Farm: Grows a variety of organic garlic in Colorado including Purple Glazer, Inchelium Red, Chesnok Red, and Pueblo Early. Honeyhill Farm: Grows organic German White garlic in New York. Hood River Garlic: Grows a variety of organic garlic in Oregon. Keene Organics: Grows a variety of organic garlic in Wisconsin. Knob View Farm: Grows a variety of organically-grown garlic in Pennsylvania. M&V Garlic Farm: Grows a variety of garlic in New York including Music, German White, and Ukrainian Red. Miller’s Gourmet Garlic Farm: Grows a variety of garlic in Ohio including Polish Hardneck, Silver Rose, and Russian Redstreak. Moonlight Farm: Grows a variety of organic garlic in Vermont including Phillips, Music, Georgian Fire, and Georgian Crystal. Northwest Organic Farms: Grows a variety of organic garlic in Washington State. October Fields Farms: Grows a variety of organic garlic in Maine including Romanian Red, Music, and Russian Red. Rasa Creek Farm: Grows a variety of organic garlic in British Columbia. Red Gate Garlic: Grows a variety of certified naturally-grown garlic in Montana including Chesnok Red, Inchelium Red, and Polish Jenn. Thaxton’s Organic Garlic: Grows a variety of organic garlic in Ohio. Whistling Duck Farm: Grows a variety of organic garlic in Oregon. Garlic Seed Foundation: Provides a variety of garlic growing tips and recipes as well as a list of garlic festivals throughout North America. LocalHarvest: LocalHarvest maintains a directory of over 30,000 family farms and farmers markets, including many that specialize in growing organic and gourmet garlics.